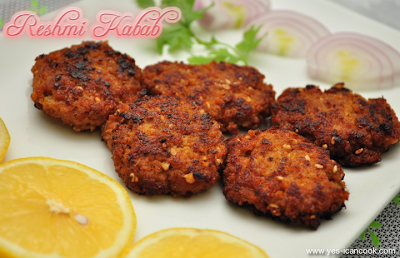 I came across this recipe for very easy to prepare and extremely tasty kababs on my cousin's facebook page - Rimzy's Kitchen. She loves to cook and has some excellent recipes. 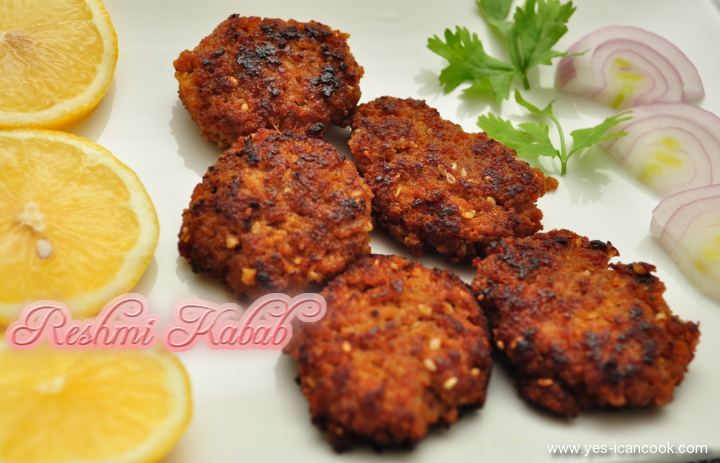 These kababs are full of flavors and I bet you cannot stop after eating just 1. You can make these to snack on with tea/coffee or serve as a starter/accompaniment. Makes 12-15 kababs depending on the size. 1. Soak the almonds in warm water. Discard skin and keep aside. I microwave the almonds for a minute. 3. In a mixer add the almonds and the fried onions and grind to a smooth paste with just a little water. Keep aside. 4. Wash and clean the mince and using a colander or mesh remove all the water. 5. In a mixing bowl add the mince without any water, the ground onion & almond paste and all the other ingredients except oil. 7. Shape this mixture as desired into portions. I made round patties. 8. Heat oil for shallow frying in a pan. Arrange the prepared kababs and shallow fry on both sides over medium low flame till golden and cooked. 9. Remove onto absorbent paper. Serve hot or warm. 1. The mixture can be prepared and shaped into kababs and refrigerated for several hours in advance till ready to be fried. This one does look yum. Thanks Meena. Try with mutton mince and they taste quite good. Take a virtual bite till you make them. As your blog name you are cooking well. All your post are fantastic..
My mom use to make these, nice recipe. Mom's recipe is always the best. Thanks Chitra and welcome to my blog. I hope you continue to like what I post. 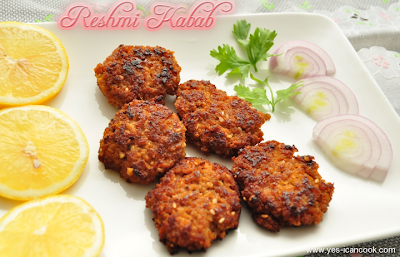 Seriously i want that plate of reshmi kababs, just makes me hungry. All yours Priya. Grab the virtual plate. Thanks for these scrumptious kebab. I cant wait to try this. I am going to make this soon.